My goal when creating 'Marigold' was to create a font that was as close to my own hand lettering as possible, and I am so pleased with the final product! 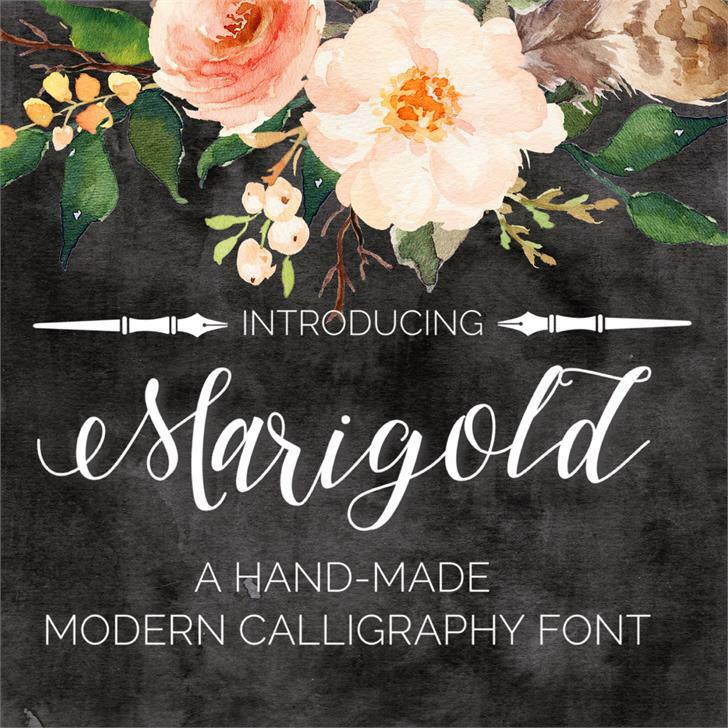 This font makes hand drawn modern calligraphy accessible to all. It is perfect for weddings, invitations, cards, web design, logos, stationary, and anything else you can imagine. 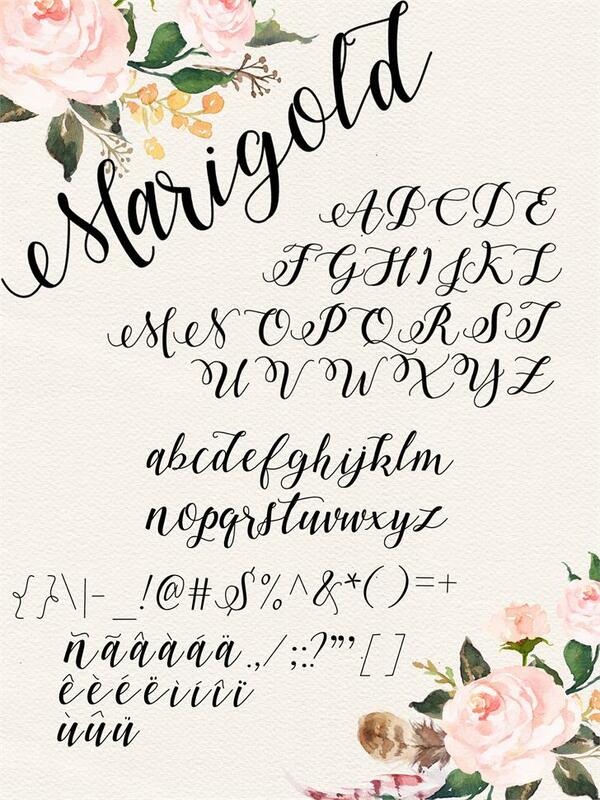 To purchase a commercial license for Marigold, or see my other fonts and products, visit me at sarahtaylor.us. Thank you for your interest in Marigold! I love, love, love this font. I will use it as is but... do you know why the letter are not molded together? @BettyJC Hi there! Since the kerning is so specific with each letter it works best with Adobe programs at this time. We are working on an update that will make it more compatible with Microsoft and other popular applications. Sorry for the inconvenience and stay tuned for updates! Hi! I love this font... my daughter REALLY loves it! She wants me to use it for her placecards for her wedding. I'm doing these on a Cricut, so that we can use a metallic gold pen. When I tried to use it the only style choice is "r" which on Cricut means it will outline the letters. Handwriting just a single stroke for this font is not an option. Is there any way to convert this to a handwriting format? Hope this makes sense. I called Cricut ... they said it coul d possibly been done but before it gets to the design space program. Thanks! this is so pretty, I dont even know where to begin! thanks for making this font free for noncommercial use. Hi! I absolutely love this font and after searching i'd really love to use your font in my business logo. It says above that to use it commercially I have to donate. Once I donate, will this give me commercial rights and show you that I also have the rights? love love love your creativity! it is a beautiful font!! Love your font! What font did you use for the text "a hand-made..."
Really pretty! It makes an excellent display font. I love this so much! What Adobe programs does it work with? Has that changed since then?